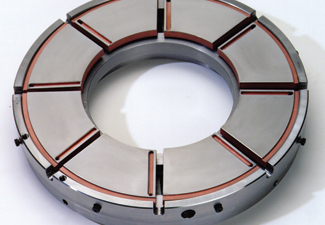 Our thrust and journal bearings were developed to handle the rigors of oil and gas equipment. 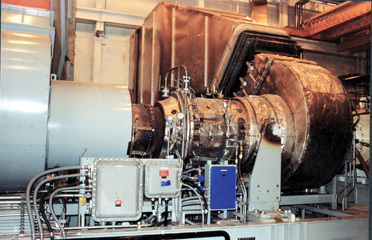 High speed turbomachinery such as compressors and turbines can place enormous stresses on bearings. Kingsbury's LEG thrust and journal bearings were developed in direct response to the need for increasingly faster speed ranges and higher load capacity for this industry. Kingsbury's BPG (Between Pad Groove) journal bearing is the ideal choice for high speed, high load applications such as gearboxes. 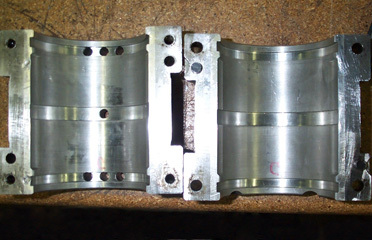 The unique features of this design allow machines to operate under loads and speeds that cannot be achieved with conventional flooded journal bearings. 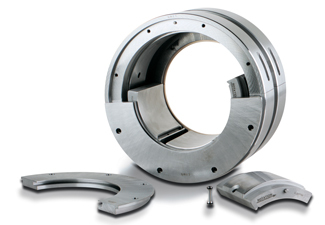 Kingsbury's standard J style thrust bearings have been used in the refinery industry for decades. The robust design features and high volume of in-stock spare parts make this bearing an ideal choice for applications where a more economical bearing is preferred. For low speed applications, those with surface velocities (measured at the bearing operating surface) less than 150 ft/s (45 m/s), Kingsbury's flooded style bearing is an appropriate design selection. The power loss benefits of LEG bearings begin to appear in the medium speed applications, with surface velocities between 150 ft/s (45 m/s) and 250 ft/s (75 m/s) and become even more dramatic for high speed applications above 250 ft/s (75 m/s). 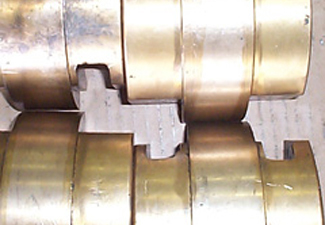 The oil flow reduction benefits of LEG bearings can be achieved across the entire speed range. As the rotation speed of the machine increases so does the benefit of LEG bearings. 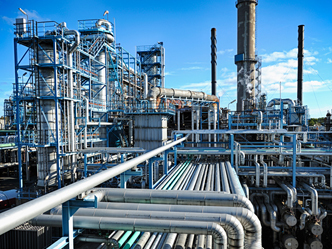 Petroleum extraction, refining, transportation, and storage utilizes a multitude of pumps, compressors, turbines, blowers, expanders, and other industrial equipment. 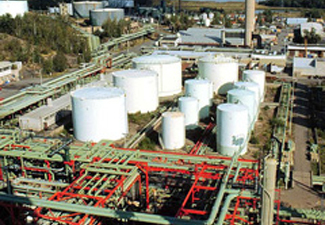 The extreme pressure on process availability and production requires the most reliable and efficient equipment available. Kingsbury is the number one supplier of fluid-film babbitted bearings to this critical and extremely demanding application market. 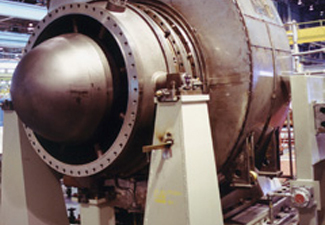 Kingsbury pioneered the directed lube thrust bearing in the early 1990s, allowing compressors to operate at higher speeds with better efficiency and process throughput. 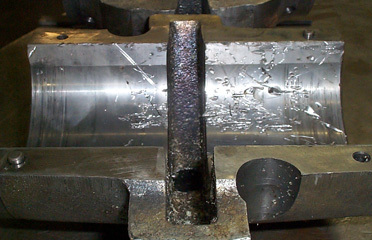 For original designs, or performance-improving drop-in retrofits, ask Kingsbury about reducing oil flows, increasing load capacity, all while reducing operating temperatures, with Leading Edge Groove (LEG) thrust bearings. 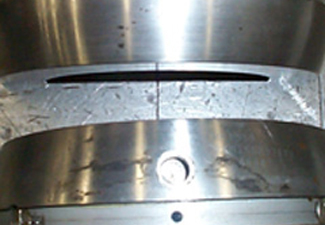 Kingsbury not only invented the Leading Edge Groove (LEG) directed lube thrust and journal bearing. Over the past fifteen years, Kingsbury's Research & Development has tested various design modifications to the basic LEG technology which further expand the operating range of our bearings, while creating an expert set of predictive tools for guaranteeing machine stability under this demanding conditions. 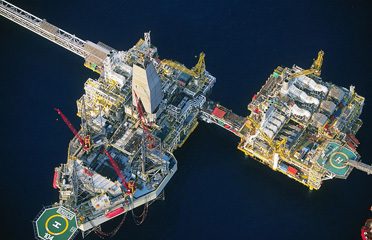 Oil Platforms are one of the most demanding locations for rotating equipment. Space is at a premium; unscheduled down-time can cost hundreds of thousands or even millions of dollars. Kingsbury offers bearings which support the most power-dense applications in the industry, and the assurance and reliability of Kingsbury bearings allow you to "forget about your bearings". The high-speed equipment used in the O&G industry requires closer monitoring of bearing performance parameters, most notably temperature. Kingsbury is proud of the accuracy of its pad temperature predictions and has the expertise you need to help reduce operating temperatures, if necessary, with alternate shoe materials, revised pad geometry, and modified lubrication arrangements. Kingsbury's Repair & Service Division will repair your damaged bearings of any make and model. We are aware of how critical it is to keep your units running. Kingsbury stocks a full line of its standard parts for quick replacement. If your damaged bearings are non-standard, or non-Kingsbury, our Repair & Service Division can normally repair or replace within two weeks, and for emergencies will offer round-the-clock assistance if you need it. Kingsbury provides thrust and journal bearings to the biggest names in the rotating equipment industry. High-speed, high-load applications such as turbo-expanders, place high demand on bearings. Bearings sizing and capabilities are limited by load (which affects the operational oil film thickness) and the bearing pad temperature (mechanical limit of the material). Every machine and every process can vary. Kingsbury's selection tools and experience allow us to provide you with the best bearing for your specific machine and the specific operating parameters of your process. Pumps, blowers, and other plant support equipment are just as important to your plant's success as your process equipment. Kingsbury has a full line of standard, cost-efficient bearings and inventory to support all of your support and auxiliary equipment. It is common fluid-film bearing knowledge that offset-pivot thrust bearings carry higher loads at lower operating temperatures than center-pivot designs. However, the optimal offset varies considerably with pad geometry, load, and speed. Kingsbury has the empirical test data and theoretical codes which help us to select the optimal offset for your critical-application bearing. 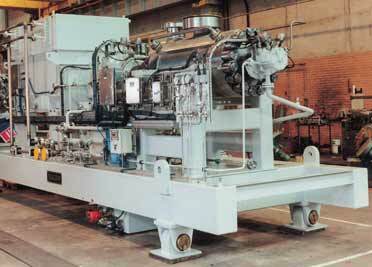 Large and multi-stage pumps often use Kingsbury J-type flooded and LEG-type directed-lube thrust bearings. 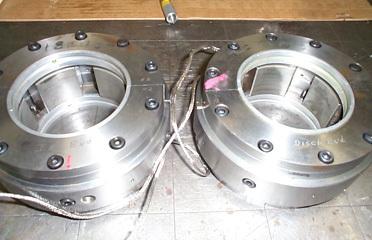 LEG bearings are typically used in high-speed, high-load applications, but LEG's are selected by some OEMs for lower speed equipment, such as pumps, because they require only half of the oil needed for flooded designs, therefore reducing the size and capacity requirements of expensive lube systems. Kingsbury manufactures and supplies plain journal bearings as well as tilting-pad. Plain bearings can be supplied with multiple geometries, including plain cylindrical, elliptical, off-set halves, multi-lobe, pressure-dam, and others, in a variety of materials including steel, bronze, bearium-bronze, and special composite materials and coatings.